Palm trees are beautiful tropical plants that are used in home decor by many people. 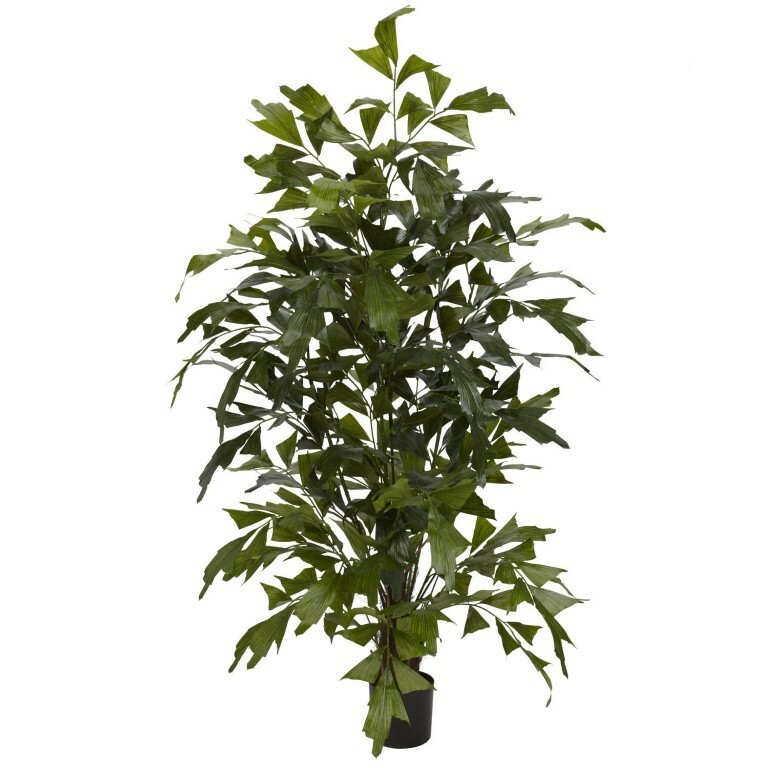 Therefore, artificial palm trees are considered to be a wonderful decorative accessory that you can find in the homes and offices around the world. The warm green shades of the artificial palm trees can make your house look chic and amazing. You can find artificial palm trees not only in homes, but also in offices, hotels, recreational centers and water parks. The artificial palm trees are durable and they look gorgeous. 1. Golden Cane or Areca Palm Tree: Golden Palm Tree or the sometimes called a golden cane palm looks beautiful and would be a great addition to your home. It has cane style trunks and the fronds sprout from the top creating a beautiful canopy. When you place an artificial golden palm tree in your room, you get the feeling that you are on a beautiful tropical island. They look so real that your guests would have a tough time believing that they’re artificial. The golden palm tree is available in various heights and number of trunks. 2. Fishtail Palm Tree: The next popular type of artificial palm tree that people use in home decor is the fishtail palm tree. The fishtail palm tree received its name because of the leaves that resemble a fish’s tail. It looks very classy and is available in elegant designs and amazing trunk patterns. 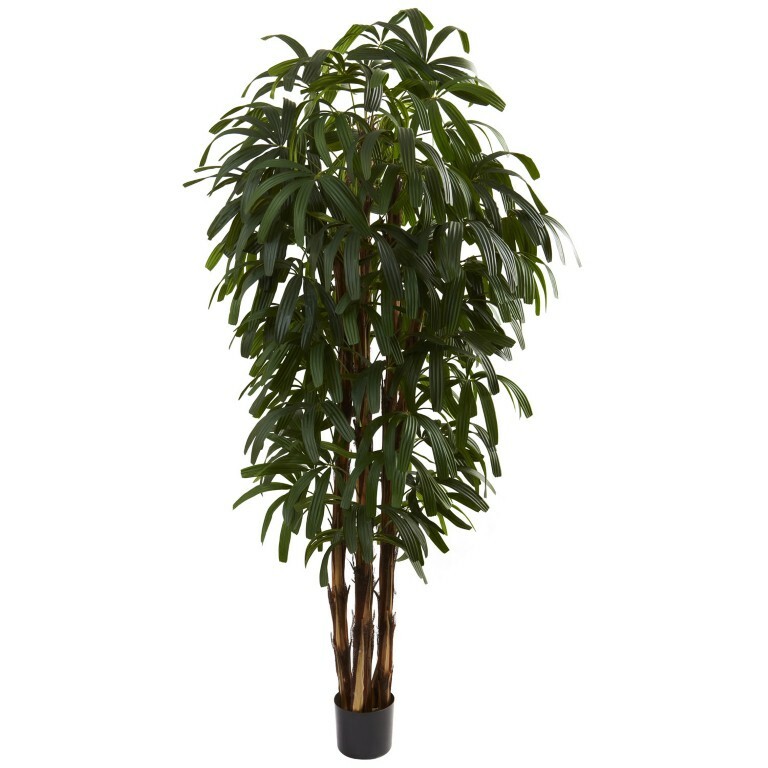 It has a long lasting luster and is selected by many people who desire to add an artificial palm tree to their living room, study or office lobby. 3. Cycas Palm Tree or Phoenix Palm: The third most popular type of artificial palm trees used in home decor is the Cycas palm tree which looks very stylish and similar to the phoenix palm. The difference between the two is the cycas has squared off fronds and the phoenix has more pointed fronds. The attractive appearance and the stylish design of these two palm trees make it the favorite of all artificial palm trees. They are available in various heights and sizes. The trunk styles are generally the same and are highly detailed, some even hand painted to look the most realistic. 4. 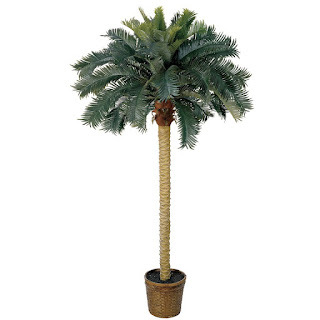 Mini Fan Palm Tree: The artificial Mini Fan Palm Tree looks stunning and gorgeous. They are highly recommended for enhancing the indoor tropical decor of your home because of the nature of the wide palm leaves they are not recommended for outdoor use. They are available in a variety of eye catching trunk patterns and attractive designs. They are also extremely durable. The mini fan palm tree got its name from its beautiful fan shaped leaves. You see these used in old movies when they fan the king or queen back in biblical times. 5. 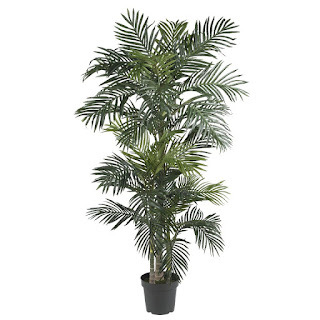 Lady Palm Tree or Rhapis: The fifth kind of artificial palm tree that can add some spark to your home is the lady or Rhapis palm tree. The leaves of lady palm tree are broad and they have a lustrous texture. The lady palm tree has a long shelf life and is highly decorative. The trunks are generally made from real coconut bark wrapped around bamboo shoots which gives the look of the real lady palm tree. 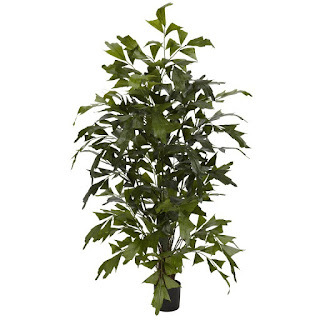 Adding one of these to your home or office really ads a sense of realism without the hassle of a live palm. These are the 5 most popular and most beautiful artificial palm trees that can enhance the home or office decor.